Wolves reach Premier League promised land but are regulators snapping at their heels? April 19 – With Wolverhampton Wanderers having secured promotion to the English Premier League focus is back on the relationship between the Chinese owners Fosun and super agent Jorge Mendes’ player dealings and his Gestifute agency, which Fosun also owns a chunk of. 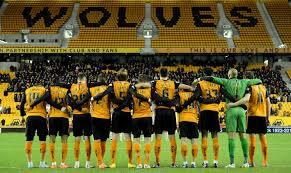 The allegation is that Mendes’ influence over Wolves is anti-competitive and distorting the player market. It is an influence that comes not just through his close relationship with Fosun chairman Jeff Shi, bit also through Fosun’s reported 20% stake in Gestifute. Certainly a look at Wolves’ player roster suggests a heavy Mendes influence with seven players transferred in from Portugal this season – including standout young forward Ruben Neves – and another signed from a Portuguese club. Manager Nuno Espirito Santo is also a Mendes client. Reports say that the FA and English Football League have been satisfied that the Gestifute shareholding is not directly owned by Fosun, though Fosun may still be the beneficiary owner in what is an uncomfortable lack of transparency around the foreign ownership and dealings of the newest entrant to Europe’s biggest and most lucrative league. It is a situation not lost on other Championship club owners and earlier in the season caused Leeds owner Andrea Radrizzini to write to the league outlining the potential for player manipulation and the opportunity to influence sporting outcome. The EFL debated the concerns but not all clubs want to challenge the issue. It is an argument he will likely to have to make to the Premier League and its predominantly foreign owners who are not likely to be so easily won over by allegations of illegal competitive advantage if it impacts their businesses. The problem for the Premier League is that he can also get good players that others might not be able to.